0.0.1.0.1 Learn how to become a Web Developer in 6 Weeks with This Complete Online Course. 0.0.7 Enroll at a Discounted Rate! Learn how to become a Web Developer in 6 Weeks with This Complete Online Course. Online learning is really popular because it gives you the opportunity to study something new in your spare time and from wherever you are. For those who lead busy lifestyles or who simply can’t afford to take a college class, there are sites like Udemy, where you can take over 35,000 courses from more than 19,000 instructors. One of the most popular categories on Udemy, and in online learning in general, is web development. This vast and growing field offers loads of opportunities when it comes to landing a lucrative career or starting your own business. 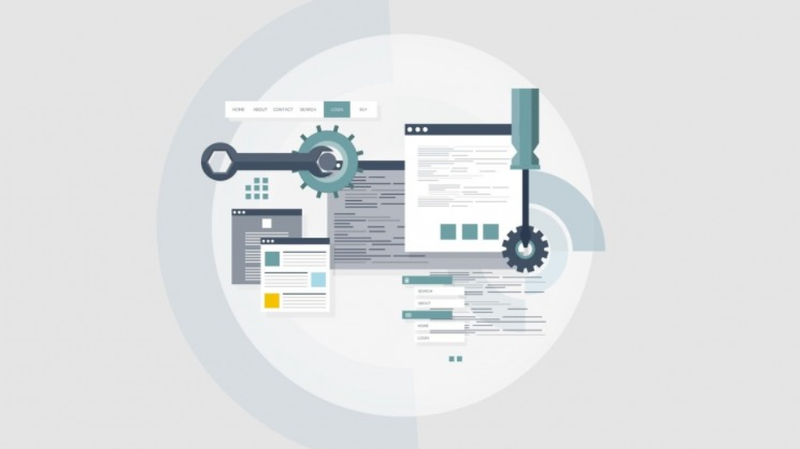 Even though there are seemingly endless course choices within the web development category, a perfect place to start is The Complete Web Developer Course – Build 14 Websites. The Complete Web Developer Course is for students who are seeking a well-rounded program that tackles everything relevant in the world of web development today. In a mere 6 weeks, you can advance from someone with zero experience to someone with professional skills, whether you’re hoping for a career change or to advance your existing career. The course contains more than 200 lectures and 28 hours of content. You can move through it at your own pace, taking as much or as little time necessary to nail down every section. Before long, you’ll be building stellar websites and apps. If you’re at all concerned about a lack of interaction with the instructor, rest assured that, even though this an online course, you’ll have access to the instructor through the online community. You can get your questions answered in no time at all and interact with the learners already enrolled in this course! Many learners are intimidated by online courses in web development, especially if they don’t have any prior knowledge or experience in the field. But this course is different because you can excel even if you’re starting completely from scratch. This one-stop shop is great for learning everything from the basics of web development, to what you need to know to start making money as a developer. Then you’ll actually start building websites as part of your hands-on learning experience. As you cover advanced tools like jQuery, MySQL, Twitter Bootstrap, and PHP, you’ll begin to create responsive websites that display flawlessly on all devices. Before you know it, you’ll be developing e-commerce sites and blogs with WordPress, and you’ll be incorporating dynamic content with APIs that connect to sites like Google Maps and Facebook. Every section will present you with a project to challenge you and help you master what it takes to make clients happy. In fact, your final project will be to create a complete Twitter clone, further proving that you’ll have what it takes to land an exciting job or start your very own business as a web developer. On top of learning the ins and outs of building winning websites and apps, students love this course because it also provides you with eBook that is loaded with helpful tips on how to actually start using your new skills to make money. So if you’re the type of person who struggles with actually putting your talents to work for you, or if you have trouble finding clients, pricing projects, and getting consistent assignments, this course will help you overcome those challenges. Nearly 200,000 students have already taken this course, and over 14,000 have left reviews, giving this course a 5-star rating. Students seem to love the fact that the course is comprehensive, and it’s hands-on training that allows you to learn by doing. Enroll at a Discounted Rate! The Complete Web Developer Course normally costs $199, but you can enroll today for just $19 (that’s a whopping 95% off)! So, for less than the price of a movie ticket, you can be on your way to jump-starting or recharging your career in web development. Act now because this deal only lasts until March 7, 2016! For minimal investment of your time and money, you’ll get a lot out of this course. You’d be hard-pressed to find another online web development program that will be as cost-effective and teach you the A to Z of web development the way this one does. For minimal investment of your time and money, you'll get a lot out of this course. You'd be hard-pressed to find another online web development program that will be as cost-effective and teach you the A to Z of web development the way this one does.